On First Take Fridays a number of authors around Meeple Mountain give short first takes on games that are new to us. This week we have takes on Bad Maps, Bandidi, Brass: Lancashire, Bye Bye Black Sheep, and Mint Delivery. Programmed movement games can be hit or miss. Do they take the challenging and puzzly approach, or do they embrace the chaos and pile on the laughs? Floodgate Games threads the needle with their current Kickstarter title Bad Maps, from designer Tim Armstrong. 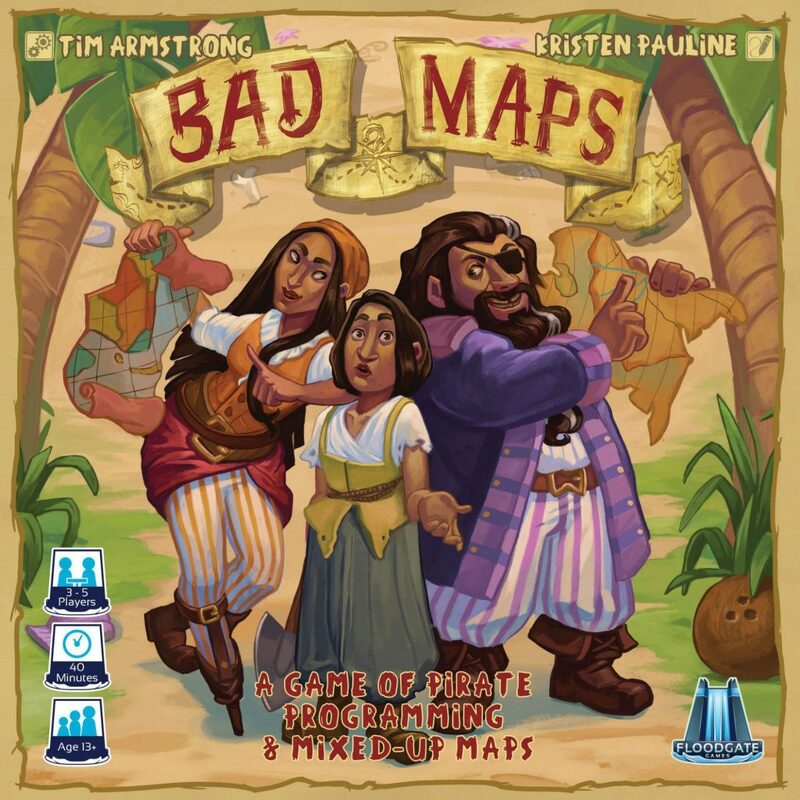 In Bad Maps players take on the role of clever pirate captains trying to guide their not so bright minions around a deserted island looking for treasure. The catch is that their maps are all mixed up…and that’s where our story begins. Ever since we reviewed Sagrada 2 years ago, we’ve been paying attention to Floodgate Games, and so when we heard about Bad Maps we knew it was a “must try”. The box calls for 3-5 players, but I decided to give it a shot with 2 players. Then after reading through the rules, it turns out that the game does support 2 players with a few minor rules variations. Bonus! Setting up the game was nice, the artwork on the board and cards was colorful and interesting. The game has a nice diverse cast of characters, and great color choices on the player pieces. At the end of the two rounds of gameplay my daughter wound up beating me 15-11! While we enjoyed our first play of Bad Maps, our appreciation was diminished somewhat by the confusing rulebook. There were no examples, and several sections had tricky sentence structures, run on sentences, or other difficult to grasp concepts. Bear in mind that this is a prototype for a game which is currently live on Kickstarter and so take these words with a grain of salt. I trust Floodgate to update the rulebook with great examples, tighten up the wording, and smooth out the rough edges. After they do I’m sure Bad Maps will wind up as a great game that the entire family can enjoy! Bandido is a small box game from Swiss publisher Helvetiq. 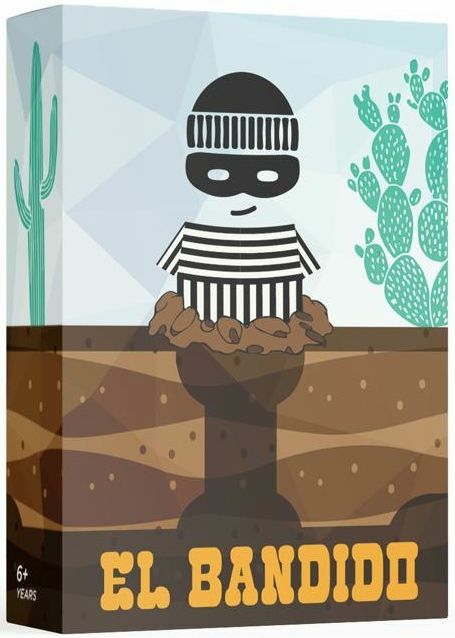 This cooperative game centers around a criminal named Bandido who is trying to escape from prison. Bandido is apparently a mole or something because this guy builds a LOT of tunnels. It is up to the players to go into these tunnels and try to block all of Bandido’s various escape routes. This is accomplished by players playing cards from their hand into a central tableau. This forms the tunnel system. If the players run out of cards without successfully blocking off the escape routes then Bandido escapes and the players lose. For such a simple concept, I didn’t really think that I would like this game very much. However, Bandido is a great example of how playing a specific game with just the right people can make all the difference. In my case, my parents came to visit over Labor Day weekend. Neither one of them are gamers in any sense of the word, but they’re really willing to try. Bandido, I figured, was just the right level of complexity for someone that’s relatively new to board gaming… and they loved it. We wound up playing four games in a row. I was ready to move on to something else after the second game, but they were already shuffling the cards and resetting the play area. For the most part, we were able to prevent Bandido from escaping, but he managed to elude us once. What didn’t elude us was the fun. We had a lot of it! 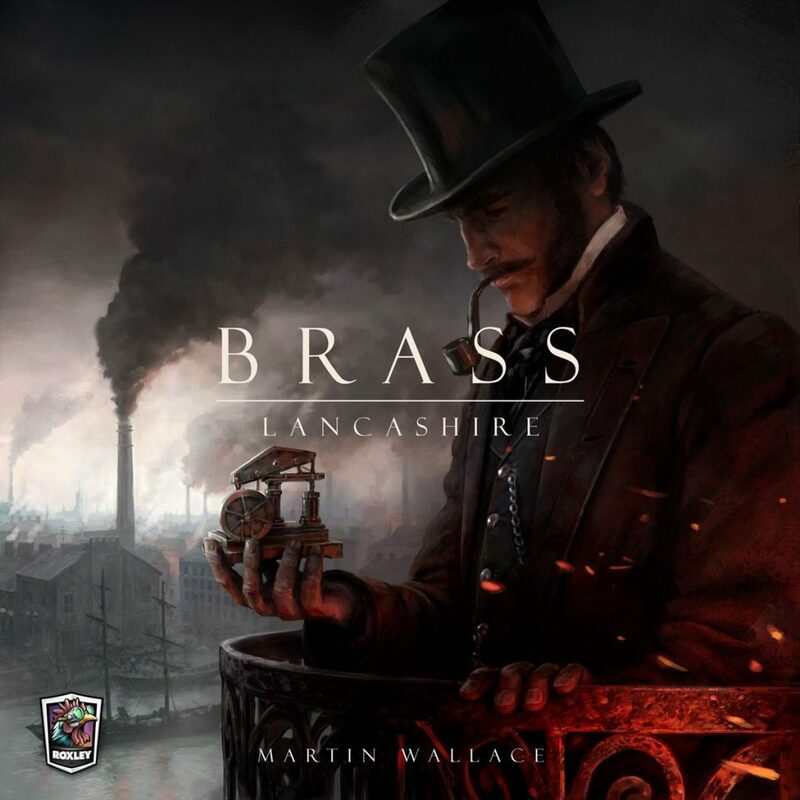 Brass by Martin Wallace isn’t a new game by any means, but last year it got a fresh coat of paint and a Kickstarter that earned over $1.2 million for publisher Roxley Games. In case you’re not familiar with Brass, it is a network building, economic, resource management, push your luck, multi-use card game and it’s really heavy. This wasn’t my first play of Brass, but it is my first time with the new edition and my first play in about four years. The brilliance of Brass is in the player interaction – so much of the push and pull centers around my producing the resources you need. Heavy economic games tend towards player interaction that is net positive for one player, but in Brass the interaction is anything but. In this game you’re simulating the industrial revolution and players will be building coal and iron plants along with cotton mills and sea ports. In order to activate your buildings, much of the time you’ll be forced to use the resources your opponents provide, giving positive results to both players. Brass is in my pantheon of games, but honestly this new edition doesn’t do much for me. An important part of Brass is being able to look at the board and understand the state rapidly. The new artwork is attractive, but it interferes with my ability to do that. My old copy had pastel colors and was attractive to very few people, but it was easy to read and understand and if I’m playing Brass, that is my priority. There’s a lot that’s familiar about this quirky little game. It has elements of Old Maid and Go Fish where you blindly pluck cards from your opponents’ hands and attempt to create sets of the same wild animals to go in your zoo. It’s a little game that has flown entirely under the radar so far, largely due to the fact that, as of this writing, I don’t believe it’s widely (or at all) available in the United States. For a game with an exceedingly simple premise, it’s surprisingly difficult to explain. There are a handful of special ability animals as well as a simple-but-easy-to-misunderstand method for gaining animals for your zoo. The nutshell version is this: each player has a hand of at least 8 cards, which included 1 titular black sheep for each player. 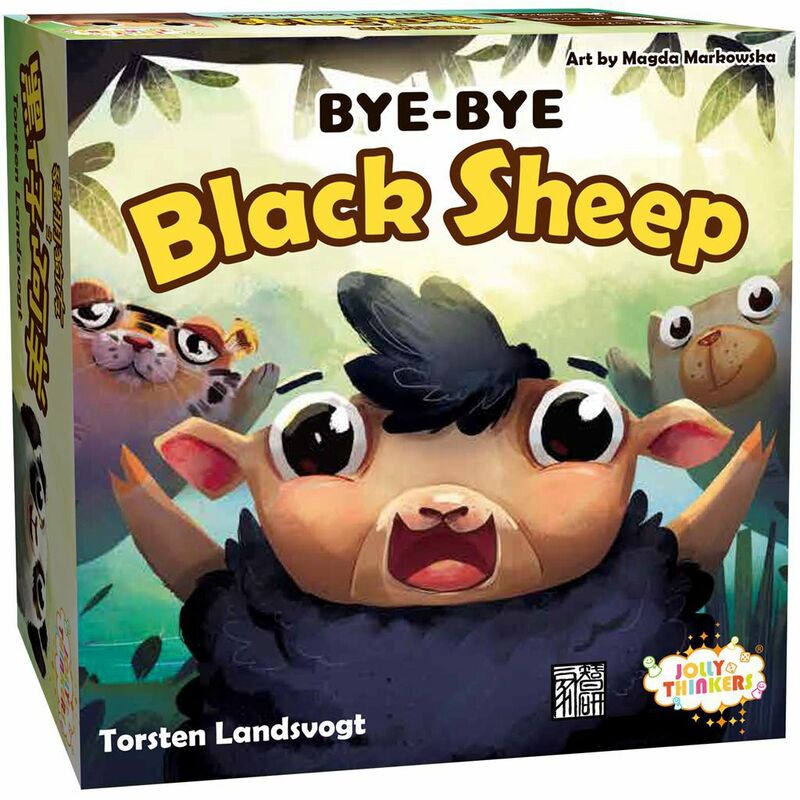 On your turn, you may draw random cards from other players’ hands until you either A) decide you’re pressed your luck far enough and claim your animals or B) unwittingly draw a black sheep, which means your turn is over. In the first instance, you take all the animals you’ve drawn from other players into your hand, and then place into your zoo from your hand that many animals minus 2–this means you have to push your luck at least a little to get a single animal into your zoo. And, should you draw the black sheep, your turn ends and you take all the animals drawn up until that point into your hand (except the black sheep, which returns to its owner) and you get to play no animals into your zoo. And that’s it in short. It’s random, chaotic, and hilarious. Every player will claim to have a system for baiting other players into drawing their black sheep, and no player ever will. There’s just enough agency to make the game fun to play, and not so much that you resent the frenetic luck-based gameplay that drives it. 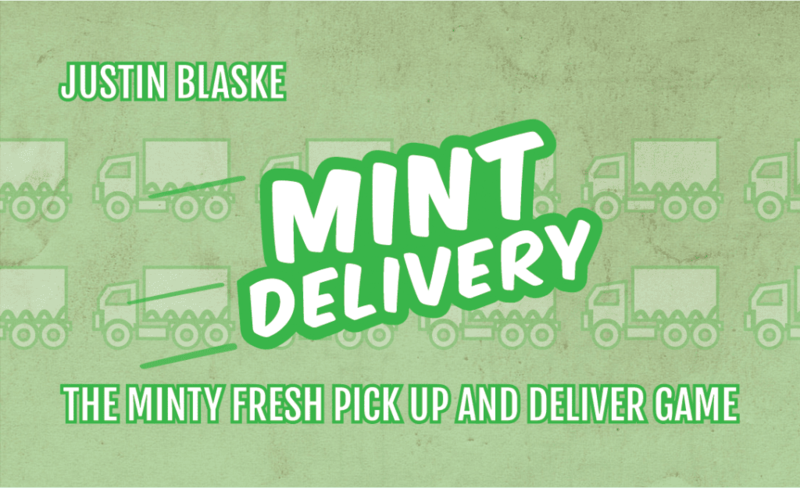 Mint Delivery is a Kickstarter pickup and deliver game (from the same design team as Mint Works) that I backed months ago. Unfortunately between the time I backed the game and its (mint) delivery, I realized why I wasn’t enjoying games of Broom Service, Keyflower, and Istanbul; I don’t like the pickup and deliver mechanism. Oops! I will forever be optimistic that someday I will find games that prove to be exceptions so I played Mint Delivery anyway. In this game, players control a delivery truck and are traveling around a map picking up different mints to fulfill orders in various locations. Similar to Mint Works, the components are amazing and the game is easy to learn, teach, and play (even though gameplay lasts about 10 minutes longer). For our first game we played the basic version and I hated it. It was a simple pickup and deliver game that didn’t last long enough for me to feel like I had accomplished anything meaningful. Here we go again! Even with that, we played another game (I told you I was an optimist) using the Ability and Road Condition advanced variants. With Road Conditions, you randomly select up to 4 tokens to be placed on some routes which will affect a player’s travel positively (move extra spaces on your turn) or negatively (close down a route, introduce a toll). The Ability variant introduces three new specialized Abilities that players can claim as an action on their turn. What an improvement the game was with both advanced variants! The gameplay felt much tighter and decisions suddenly became more meaningful and difficult. It is safe to say that Mint Delivery is (finally) a pickup and deliver game I enjoy– but only if we play it with the advanced variants.